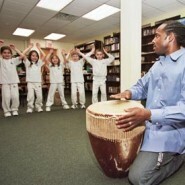 Good dancing and drumming restores the community to wholeness. 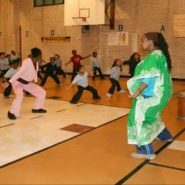 Dunya Performing Arts Company members lay the groundwork for cultural sensitivity through intense study of the elements of various Diaspora West African drum, dance, song, storytelling, and masquerade traditions from Mali, Guinea, Senegal, The Ivory Coast, and Ghana. 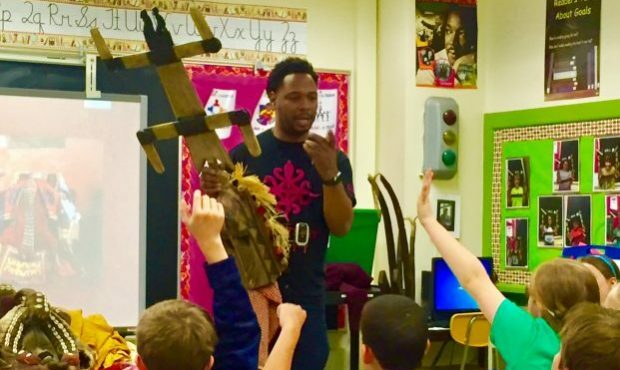 Our residency offers an artistic platform for participants to create, imagine, ask questions, think critically, and develop skills that add value to their community. Neo-traditional dance involves oral and physical communication between the dancer and drummer. Students learn how to listen to dance directions that are embedded within the language of the drum rhythms as they explore polyrhythmic movements, spacial awareness, and how dance affirms specific community values.